Happy New Year. 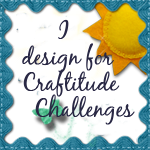 Here is my first project for 2015 for the challenge over at Decorate to Celebrate. Be sure to stop by and see what the talented DT has for your winter inspiration. My grandson just loves Olaf. 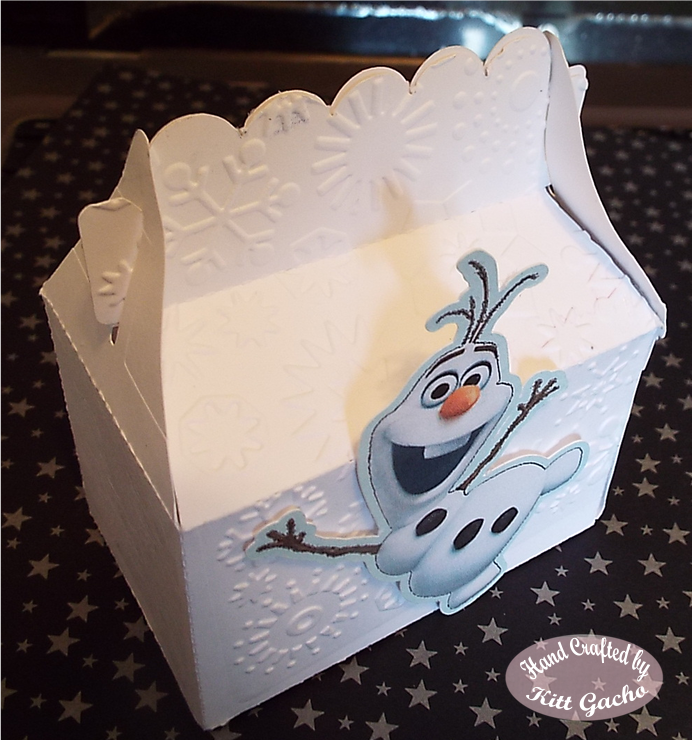 The gable box is from the Silhouette store Design ID #69749. 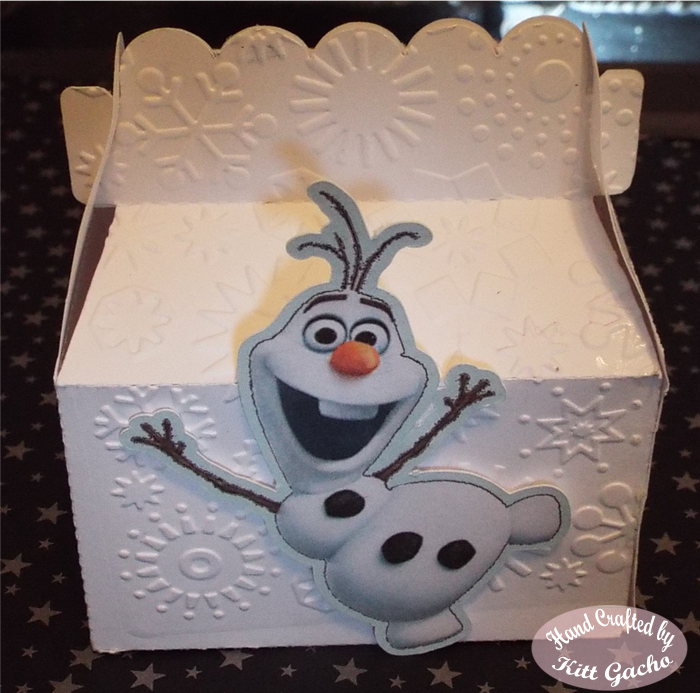 I used Cuttlebug snowflake embossing folder on the box front and back. I googled Olaf free clipart, there is lots out there. I printed and cut the image with the Silhouette Cameo. Have I said how much I love my Silhouette Cameo lately? LOL. I put Olaf on pop dots for a 3D effect. Thanks for stopping by today and leaving your comments. I love hearing from you. Have a happy crafty day. I love Olaf too!!! Great idea about putting him on with pop-dots! I love this project, thank you for sharing. What a gorgeous box - love the embossing!!! Olaf makes it better :) Thanks for joining us at Frosted Designs!! OLAF!! I love him!! Thanks for playing along with Frosted Designs!!! Super cute. Thanks for playing at Frosted Designs. This is so adorable!! 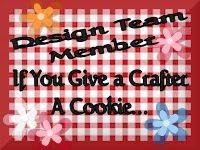 Thanks for sharing with us at Frosted Designs!! LURVE Olaf, a great cut too and your box. Thank you for joining us at Digitally Sweet! What an adorable box. It is so cute. Love it! 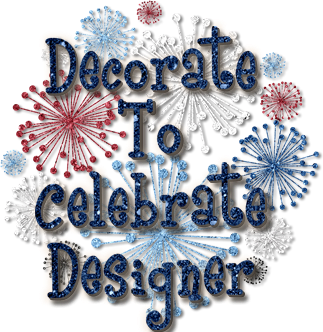 Thanks for playing along with us at Frosted Designs! I love this box!! Olaf is perfect and the embossing is terrific. 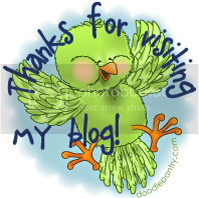 :-D Thanks so much for choosing to enter our "Anything Goes" challenge at QKR Stampede this week. Good luck and hope to see you again for our new challenge. Beautiful so nicely done. Thanks for joining us this week for Anything Goes at QKR Stampede. Lovely box shape. Thank you for joining us at Digitally Sweet.